There are 3 great promos this month. Check them out below! 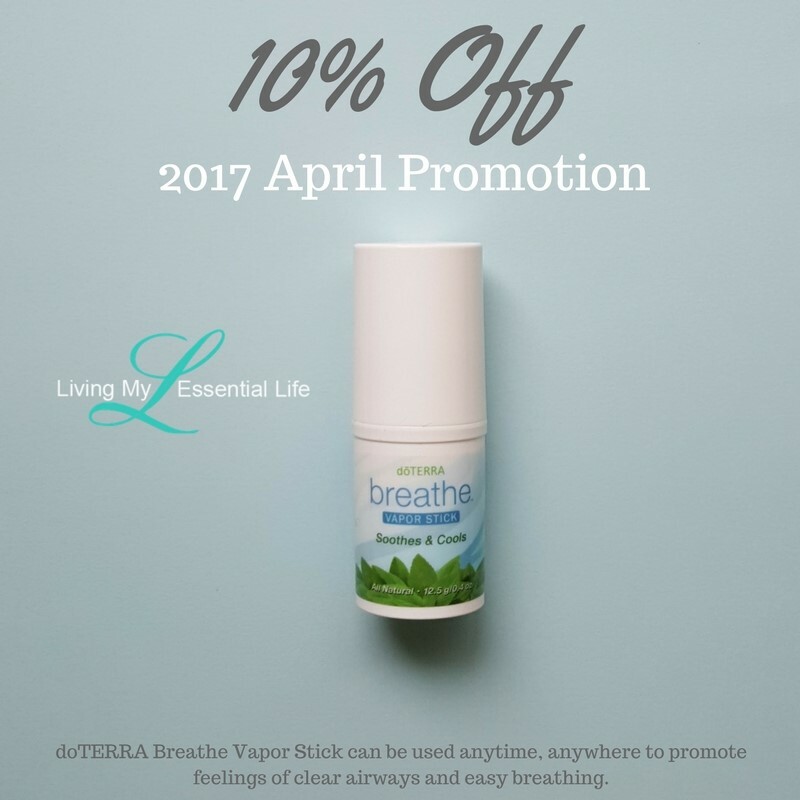 Enjoy the convenience, quick absorption, and smooth application of doTERRA Breathe Vapor Stick. This unique delivery method of doTERRA Breathe proprietary blend can be used anytime, anywhere to promote feelings of clear airways and easy breathing. The natural formula of this vapor stick glides on the skin with ease, without leaving a greasy or sticky after-feel. 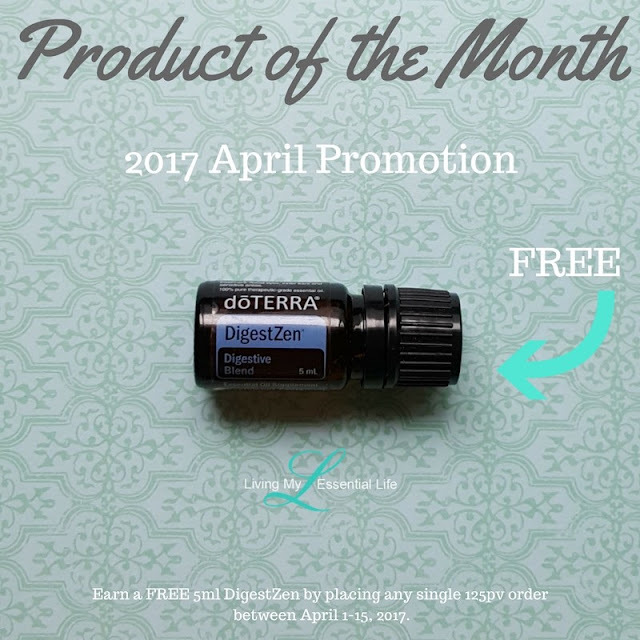 The power of doTERRA Breathe essential oil blend can be felt immediately, providing a cooling effect both topically and aromatically. The small and convenient package of doTERRA Breathe Vapor Stick is perfect for traveling, and only a small amount is needed to feel its immediate effects. 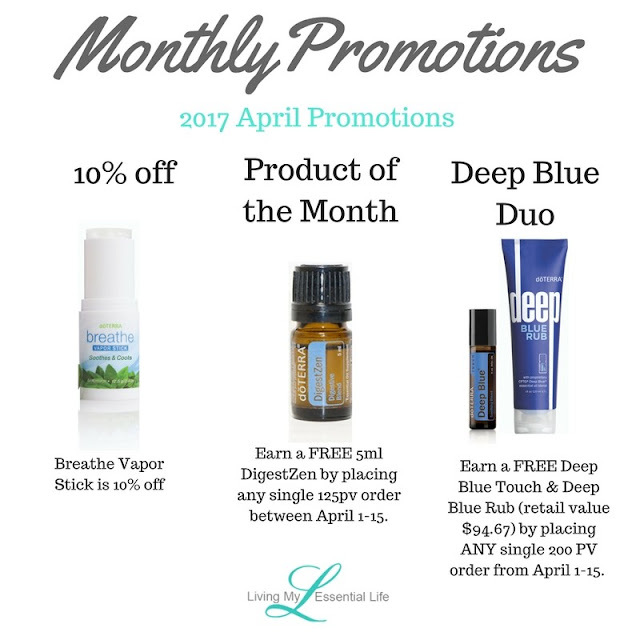 The vapor stick works in conjunction with the other doTERRA Breathe products, providing powerful support for you and your family. DigestZen is known as doTERRA’s “tummy tamer” blend due to its ability to aid in digestion, soothe occasional stomach upset, and maintain overall digestive health. This unique blend contains Ginger, Fennel, and Coriander to help ease occasional stomach discomfort, including motion sickness and indigestion, while Peppermint, Tarragon, Anise, and Caraway aid with digestion and help maintain a healthy gastrointestinal tract. DigestZen is great to have on hand when stomach upset occurs and is safe and effective. DigestZen is a healthy, natural, and gentle way to soothe an upset stomach or maintain a healthy digestive system. Add to water or tea to maintain a healthy gastrointestinal tract. 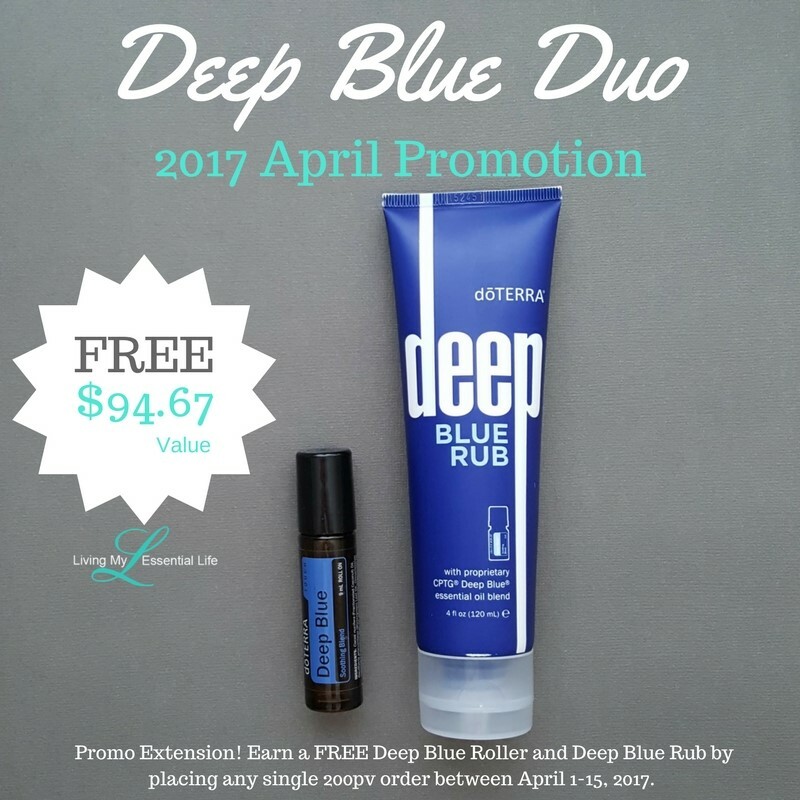 Earn a FREE 10 mL of Deep Blue Touch & Deep Blue Rub (retail value $94.67) by placing ANY single 200 PV order from April 1-15, 2017. Formulated to soothe and cool, doTERRA Deep Blue serves as an enriching blend of oils perfect for a massage after a long day or an intense workout. doTERRA Deep Blue is perfect for a soothing massage after a long day of work. Wintergreen, Camphor, Peppermint, Ylang Ylang, Helichrysum, Blue Tansy, Blue Chamomile, and Osmanthus work together to soothe and cool. After long hours on the computer, try rubbing Deep Blue proprietary blend on your fingers, wrists, shoulders, and neck. A few drops of Deep Blue Soothing Blend diluted in Fractionated Coconut Oil can be part of a cooling and comforting massage.